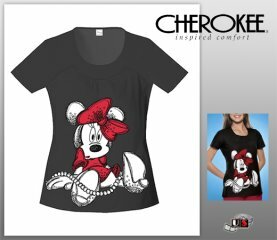 Home :: Disney Scrub Tops :: Cherokee Tooniform "U" Shape Top - Oops! Cherokee Tooniform "U" Shape Top - Oops! Slight Shirring at the Center Front and Back Darts for Shaping. Center Back Length 25 1/2".